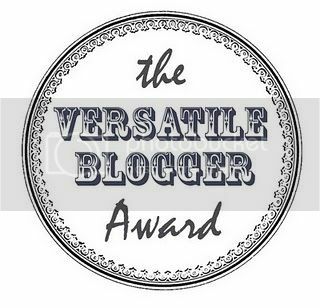 So I've been awarded the Versatile Blogger Award. Twice. Victory dance! 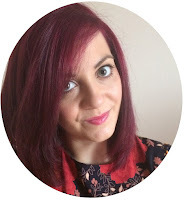 Thanks to Martha and Chloe for mentioning me in their top 10/15s. I noticed my first award last week but completely forgot about it, but when the second one came in, I thought it was probably best to do this post! Don't worry though, I'm only doing it the once! 1. I write about technology for a living. Use an app on your phone? I (try to) write about how they're made. I wish I could write about fashion apps - perfect combo. 2. On Graduation day, I tripped up whilst walking up the steps into Sheffield City Hall. I had to trip up somewhere; I'm just thankful it was before the ceremony and not during. 3. If I'm not drinking water, I'm drinking full blackcurrant Ribena. I hate other types of juice. I also have a rather particular palette when it comes to water. I'm an Evian girl, and I HATE Volvic. 4. My first pet, Rosie the rabbit, was 'kidnapped' and eaten by a fox. True story. It was a horrible day. 5. I never pretend to know something that I actually know nothing about. I usually get found out otherwise... and in the career I'm in, that's a pretty dangerous and embarrassing thing to happen to you. 6. I prefer Elle to Vogue. 7. I was nominated the 'Best Dressed' award in my Sixth Form award ceremony. I didn't win, but the nomination was good enough for me! I did, however, win 'Most Changed'. Most changed into what is a question that was never answered.